TED Talks are a global set of conferences run by the non-profit Sapling Foundation under the slogan "Ideas Worth Spreading". 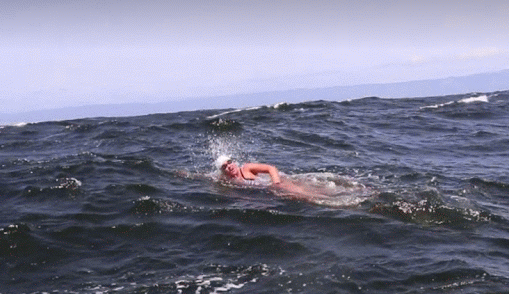 A number of open water swimmers have previously spoken at TED conferences around the world: Lewis Pugh, Maarten van der Weijden, Diana Nyad, Dr. Peter Attia, Vicki Keith, Ori Sela, Tim Ferriss, Dr Angel Yanagihara, Dr Tim Noakes, Maria Conceicao, Lynne Cox, Guillaume Néry, and others. Now Kimberley Chambers will take the stage at an upcoming TEDx event this Friday in Monterey, California.